As a computer professional and store owner I've wanted to ditch Windows for many years; the constant updates, costly software and seemingly endless ways to have your information breached have only worsened over time. I've been using Windows 7 since the pre-release days and beyond just not wanting Windows I don't have much to complain about. That being said I could make a living just removing Malware from customers machines, it's become nothing short of a plague on the internet. It has always seemed impossible to completely make the switch. There always seems to be that specific piece of software that can't be replaced on the different linux distributions. Of course Wine has been around for quite some time, but that is far from a "rock solid" solution. This may be a jaded view but the specific software packages I've attempted to run have always had an issue of some sort. In my case the Windows software I can't get away from happens to be what drives my business. Having a flaky piece of important software is far worse than just dealing with Windows. Admittedly for all of the faults Windows has, Windows 7 has been quite reliable and stable for me. Over the past 5 years I've primarily tried the different versions of Ubuntu, which have all been "cool" in my eyes. They look great, run extremely fast even on the slowest of computers and can be loaded in mere minutes. I've used a live CD loaded onto a USB drive for testing hundreds if not thousands of laptops that have come through the store. It's always been an excellent way to take a Windows computer that won't boot, has tons of malware or even viruses and boot to a perfectly working machine in literally seconds. I've always been shocked at the ability of the live CD to load the correct drivers and quite literally "install" an OS in under a minute. Comparatively Windows takes an hour or longer in most cases, then never seems to have the most important drivers, which as we all know can become quite the painstaking process (in all fairness Windows 7 is much better than previous versions, but far from perfect). Each time I feel the itch to try Linux again I am always impressed at the new features, the quality appearance, feel and overall speed of whichever distribution I try. 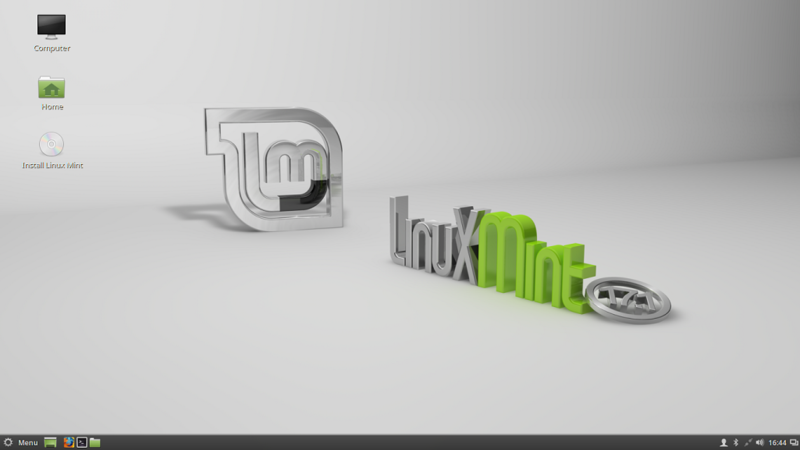 Over the years Ubuntu and Mint have become as beautiful as any major OS while seemingly faster. I am always excited as the initial installation loads, I immediately connect to Wi-Fi and start customizing. This is where I start to run into the issues I believe are plaguing Linux from becoming a mainstream operating system. The most recent flavor of Mint, 17.1 has addressed some of the previously existing "software manager" issues, where you'd find yourself with 5+ updates related to a single piece of software, you'll now have one. Previously this was a daunting task, its not as though I truly knew which updates I needed, if I would be breaking something, if there was a specific order to install them etc. They've now consolidated that into one update per piece of software, which is a vast improvement, however there are still some major issues lurking. The software manager could use some major changes for the average user. You'll find yourself looking for something that isn't included with the distro and land in the software manager having no idea what to actually search for. You know you want something to edit pictures, but what is it called??? Windows has Photoshop, but nobody I know could tell me the Linux equivalent. The user often searches with descriptions like "picture editor" hoping to figure it out. The major drawback in the software manager is that it only returns results from the name of the software, whereas the Apple App Store or even Google would return results related to your search. Searching for "mp3 player" would net many results, you would then make your decision based upon descriptions, screenshots and reviews.. This functionality doesn't yet exist in the Linux world and it becomes a barrier for the average user with most just giving up. In my case I installed Mint 17.1 which looks amazing, comes loaded with many great software features and is more or less ready to hit the ground running. 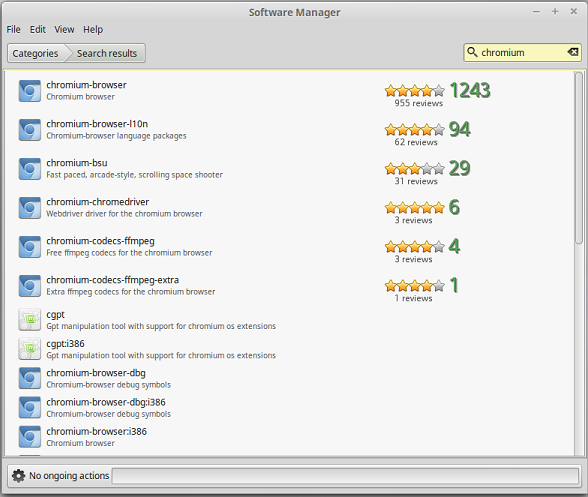 Being a Google Chrome user on all of my devices it was one of my first searches in the software manager, unfortunately there were no results for 'Google Chrome', nor 'Chrome' so I quite literally had to "Google how to get Google Chrome" and it is apparently called "Chromium Browser", which seems to be a well reviewed, highly used piece of software. Why "Google Chrome" doesn't exist, I literally have no idea. It does however look and feel like Chrome and may very well be made by Google. I thought I was ready to go once installed, and started to do some work, then realized I'd like to listen to some music on my new Linux box. I quickly opened up another tab and went to Pandora, merely to find a message saying Pandora Requires Flash v.10 or later. I couldn't help but think to myself how crazy it was that Google Chrome (or whatever derivative of Chrome I was using), arguably one of the most popular browsers in the world, wouldn't come preloaded with plugins allowing the use of one of the most popular music streaming services in the world. Regardless, I thought, "Ok, I'll just click the link on the page and install the plugin". It took me right to the appropriate Adobe site, which asked which version I wanted to install, and had 3 different Linux releases. None had a true explanation of which was appropriate, they all had different extensions including YUM, .tar.gz, .rpm and APT, even as a fairly computer savvy guy (again I do own a computer store) I had no real clue which option to select. If I were on Windows I would expect the site to either auto detect my OS, or present "Windows Vista", "Windows 7" or even an ".exe" option we're all familiar with. It's not as though one said it was for Ubuntu or Mint etc. So naturally I started with the top version, it was a quick download and I thought I was good to go. Opened it, and it was just full of files (nothing clear like a Windows .exe to run an installer etc). My assumption? Must have downloaded the wrong one! So I tried again with the next two packages, same results. Honestly at that point I gave up on how you'd install them and thought to myself, I'll just go to the trusty software manager and download Flash right?! I search for it and what do you know, already installed! So apparently, I have flash, but I don't have a flash pluggin in the worlds most common browser and there is no clear way to install it?! Of course I turn to Google for this, and honestly there wasn't a "simple" answer, quite literally the expected range of answers talking about using terminal and many lines of 'sudo -install -something/I- don't-understand'. Even if I had understood the command in its basic sense that would purely be based upon prior knowledge of Linux, or information from a forum, there was no mention of opening Terminal (the Linux equivalent of Command Prompt). So, I gave up, I started using the built in FireFox which works well, but again is merely a workaround to the issue. As you can see this is just the tip of the iceberg, we are talking about an extremely simple starting point and already running into issues I simply would have expected to be considered prior to a release. The masses aren't going to spend hours trying to make a plugin work, they want a simple and easy to use OS, this is where OSX and Windows truly take the cake from Linux. Again it isn't all bad, Linux has some truly amazing features and is getting closer and closer to becoming a realistic alternative if not leader. I haven't even given up myself, but you can imagine how hard it is to tell friends and family to install an Ubuntu or Mint when you know there is no chance they will be able to work through the most basic of issues. Heaven forbid a driver issue, most would stop right there. Next up was to see what I'd need to do to run Windows inside Mint 17.1, the common consensus was to install VirtualBOX and things would be very similar to Parallels (which I've used quite successfully on Macs). Again to the software manager, searching for VirtualBOX, the results - equally confusing. One result for VirtualBOX and one for VirtualBOX-Nonfree. The Nonfree version had well 116 reviews while the basic version only 33. This lead me to believe "nonfree" was a weird way of saying "paid", but I couldn't see anything indicating there was a cost associated, so I installed it. 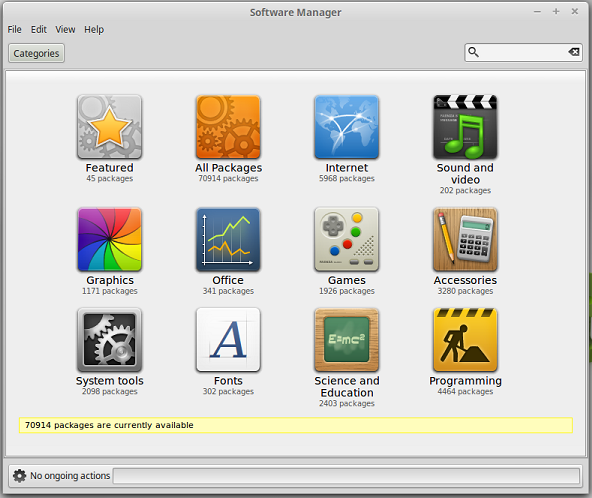 Once opened it seemed somewhat intuitive, simply click "new" and follow a well thought installer. It did a great job of making assumptions as to hard drive size and memory allocation, all that was required was to give it a name and select which OS you intended to install from an impressive list of available options. Beyond that you would click "start" and be asked what installation media you intended to use and where it was located. Fortunately I have installation disks covering all versions of Windows XP, Vista, 7, 8 and now 10 along with USB flash drives with bootable .ISO's installed as well as other options, clearly MUCH more than the average user would have available to them. I started by inserting a known good copy of Windows 7 on a flash drive, one used day in and day out as a bootable image, the computer saw it and mounted it to the desktop, I then tried telling VirtualBOX to select that media, well, it couldn't. It wanted to "open" the drive rather than use it as an .ISO. So my next attempt was copying the .ISO to the desktop (the software claimed a virtual disk aka .ISO was supported), again told the software to install from the .ISO (which it accepted this time). System went to boot, and boom, FATAL ERROR: cannot find files. Now my head is spinning, I'll just try the old disk and things will go well right?! Wrong, ALL of my disks had the same error, keep in mind these are genuine Windows installation disks. After about an hour I all but gave up. Google revealed multiple "hacks" of which settings to change and tips to find workarounds, but yet again, none worked and truly none should have been needed. I quite literally have used each of these pieces of media for thousands of Windows installations and somehow this software can't figure it out?? Don't get me wrong, there is no chance I could even begin to write this software nor fix the problem, but as an end user you're expecting things to move along smoothly. Personally I'd be willing to pay for this software to work but as it stands I don't feel comfortable that I'll have a reliable virtual machine if it won't even install to begin with. Salvation was finally had when I went to using the LAST version of Windows I wanted to install, Windows 8 (Honestly, who wants to use Windows 8? Even Microsoft is giving Windows 10 away as a replacement). VirtualBOX immediately booted from that disk and the installation was relatively painless. Same story for Windows 10, same errors, but again installed easily (selected Windows 8.1 as the version I was installing as 10 was not an option). So now Windows 10 is installed, and it appears to work well, but its stuck in an ~800x600 box and is nowhere near useable at that size nor resolution on my 1920x1080 screen. Menu options don't seem to indicate I can change the video size etc, same story and off to search Google. Forums indicate I need to mount an included disk that installs extra drivers which allow me to change the size of the virtual machine along with running it in "coherence mode" like Parallels (which is quite nice). I follow the simple instructions and the VM reboots, comes back up and what do you know, options still greyed out! As of writing I've tried this numerous times, uninstalled and reinstalled over and over and made no progress. As a recap, I couldn't use my major browser, I couldn't get Windows configured correctly and never even began installing my required software. This was 6-8 hours of work and quite honestly I gave up, it was more work than it was worth, and for what gain? I love the look and feel, but if my day is spent trying to configure things how am I, or any other user supposed to actually use our computer as a tool rather than a project? While this review may seem very critical of Linux I am by no means saying it isn't a viable option. There are millions of potential users who would be completely satisfied with the sytem out of the box. If you didn't have a need for specific software you'd be a happy camper very quickly. The reality is that most of us need to run certain pieces of software and with that comes complication. I'm merely pointing out the fact that there are some major barriers that need to be addressed for the masses to jump ship on Windows and OSX to become Linux users. I realize there will be many readers of this post that point out all of the above issues have simple workarounds or fixes, but stop for a second and realize the average person in America knows little more about their computer than how to turn it on and get on the internet. Few people are confident installing or removing software in Windows, let alone editing settings of any kind, and honestly how many people have ever even seen command prompt? Almost no average Windows or OSX user will be patient or knowledgeable enough to work their way through basic issues, and keep in mind this was purely in the setup phase. What happens when there is a real issue? My current feeling on Linux is that it's still stuck in the "hobby" phase, it is a very well refined, very fast and very capable operating system truly showcasing the talent of many dedicated individuals. I personally cannot fathom the effort put into the project, it is truly astonishing. The look, feel and speed alone are incredible. What will it take to become a major player? Linux distros will need to become a bit more "dumbed down" to become a major player in the world, while there are many thousands if not millions of users currently enjoying their favorite version it will require a simple, easy experience for everyone to come on board. I deal with customers on a daily basis that ask about alternatives to Windows, but I simply can't recommend Ubuntu or Mint to them because I know they will return with a question or issue I'm not able to fix in a timely manner. I'd like to see the software manager look, feel and act like the Apple App store. What would that take? I'm sure thousands of hours of work I can't begin to understand or contribute towards. I understand it's easy for me to be critical, yet I truly bring nothing to the table to fix it. If a user wants to install Google Chrome, they will need to be able to search for internet Browser, or Chrome and have it return the appropriate software. At that point I'd expect a one click install, or something similar to a Windows installer and provide options similar to "Would you like to install Flash Player? It's extremely important on most websites". Ok, in all reality it would be a pre-selected option that you could deselect if you had a specific reason to not need it. Until Wine is 100% rock solid for any and all Windows applications we will all be stuck running some sort of emulator, and again most will be intimidated by even doing that, so it's going to need to be simple and reliable. I truly believe when these issues are sorted out by Ubuntu or Mint they will have an amazing opportunity to take over a large part of the market, there are millions of unsatisfied Windows users that would jump at the opportunity to use a better product. While it's not at the core of what Linux is about, I think the vast majority of current users and interested parties alike would be more than willing to pay for a fully featured and polished product. I for one wouldn't hesitate to "donate" $5, $10, $20 or even $30 to the cause. Multiply this by a few hundred thousand users and you're looking at enough capital to put some of these amazing programmers already involved into a full time job creating a dominating product. At the end of the day I think Ubuntu and Mint are just a few short years from leaving their infancy as a hobby or toy and becoming a major player in the computer world. I for one hope this is the case and look forward to each release with nothing but optimism. Millions of us are just waiting to make the switch, hopefully sooner rather than later.